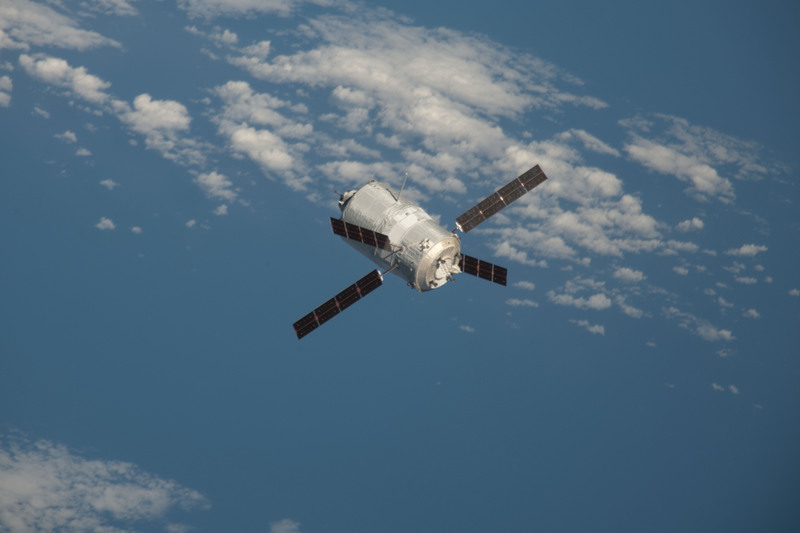 The 3rd European resupply vehicle undocked from the International Space Station (ISS) on 28 September, ending a 6-month stay during which it ferried food and fuel to the crew. The ATV docked to the International Space Station (module at bottom of picture). Credits: NASA. Mission accomplished! The ATV-3 Edoardo Amaldi undocked from the ISS on 28 September at 23.44 CET. Under the watchful eye of engineers at the ATV-CC control centre at CNES in Toulouse, in the night of 2/3 October it will perform a controlled destructive re-entry into Earth’s atmosphere over the South Pacific. 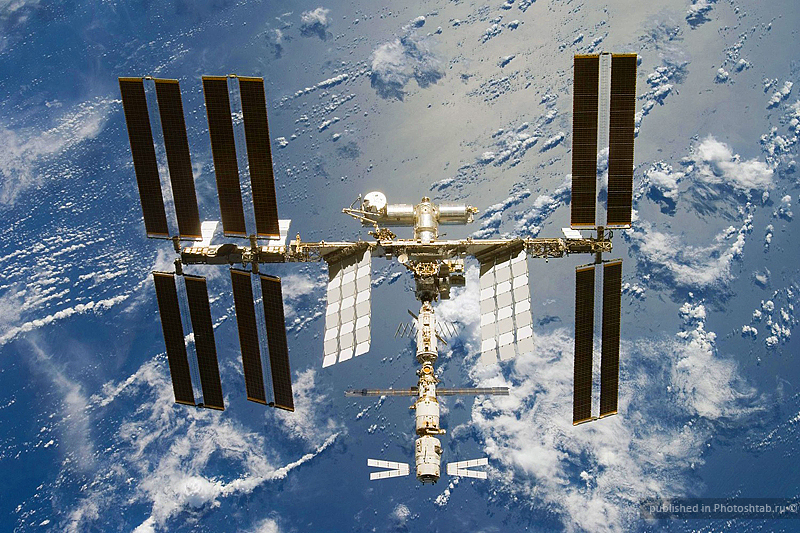 Automated Transfer Vehicles resupply the ISS with everything needed to support operations on the only permanent orbital microgravity laboratory. The Edoardo Amaldi, the 3rd in the ATV series, carried a cargo comprising 3,400 kg of oxygen, air, water, equipment and food for the station’s astronaut crew. ATV-3 in free flight. Credits: NASA. Edoardo Amaldi was carrying the heaviest dry cargo in the ATV series to date. Before lift-off in March, a crucial spare water treatment unit was added to its consignment of equipment, a precaution that proved well founded when the operational treatment unit developed a fault. Meanwhile, the 4th ATV flight is already being prepared. Named Albert Einstein, the ATV-4 arrived in French Guiana in September in readiness for its flight to the ISS in spring 2013 atop an Ariane 5 launcher.